This course provides an understanding of converged voice and data networks and also the challenges faced by the various network technologies. The course also provides network administrators and network engineers with the knowledge and skills required to integrate gateways and gatekeepers into an enterprise VoIP network. This course is one of several courses in the Cisco CCVP track that addresses design, planning, and deployment practices and provides comprehensive hands-on experience in configuration and deployment of VoIP networks. Define a dial plan, describing the purpose of each dial plan component, and implement a dial plan on a voice gateway..
•Working knowledge of fundamental terms and concepts of computer networking to include LANs, WANs, and IP switching and routing. •Basic internetworking skills taught in Interconnecting Cisco Network Devices (ICND), or equivalent knowledge. •Ability to configure and operate Cisco routers and switches and to enable VLANs and DHCP. •Knowledge of traditional public switched telephone network (PSTN) operations and technologies. 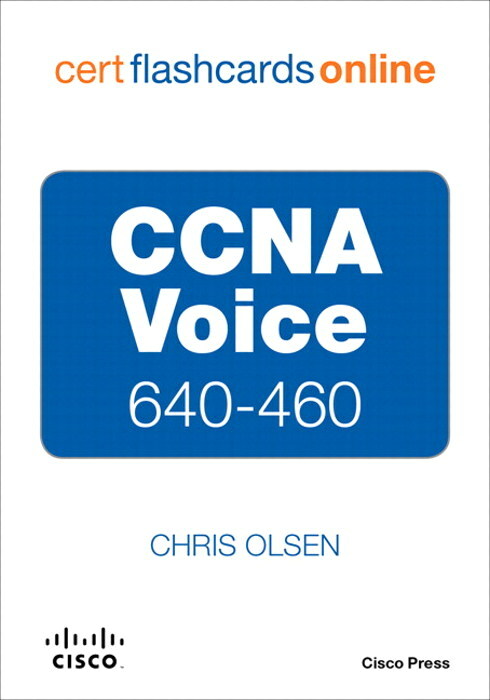 The 642-436 Cisco Voice over IP (CVOICE) is the exam associated with the Cisco Certified Voice Professional CCVP® certification.